If you’re looking for a reliable car repair service, look no further than J A Price Motor Engineers at Lydham Forge, Bishops Castle. We are experienced in a wide range of garage services from tyre fitting to engine rebuilds… and everything in-between! At J A Price Motor Engineers, we work hard to maintain our reputation for offering a trusted and value for money service. We understand the importance of good customer service… the majority of our work is gained through word of mouth and repeat custom. 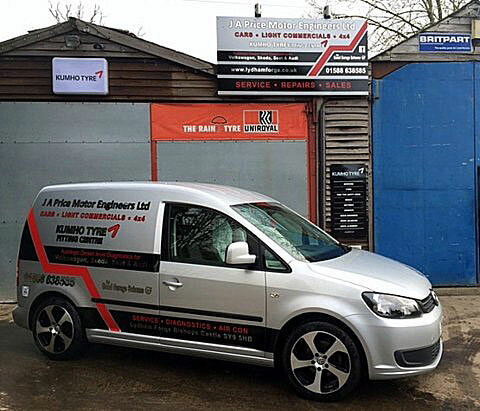 J A Price Motor Engineers provides a range of honest and professional car repair services throughout Shropshire, Herefordshire, Worcestershire, the West Midlands, Mid Wales and beyond. We do not collect personally identifiable information through our website. We monitor any emails sent to us, including file attachments, for viruses or malicious software. Your contact details will only be used in connection with your enquiry and will be deleted when the enquiry is complete.